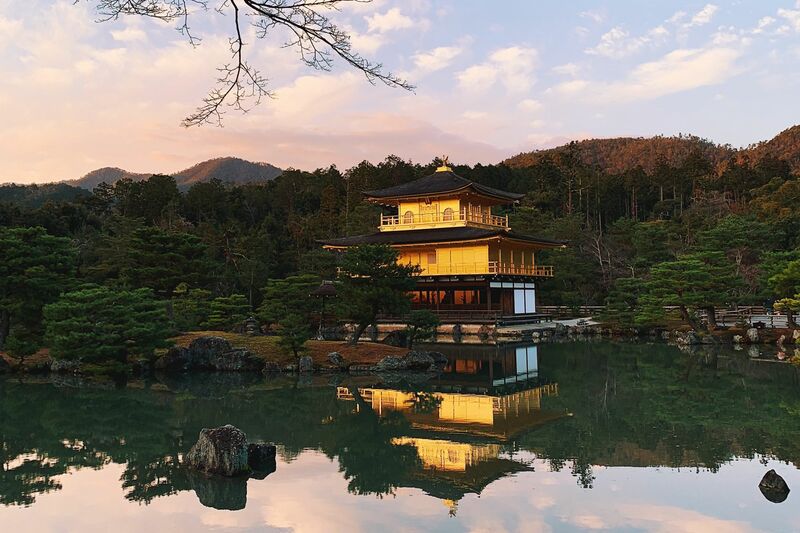 The charming city of Kyoto may appear to be serene on the surface with all its Buddhist temples and gardens, but what lies beneath is a rich culinary food scene with some restaurants drawing from the past for inspiration while others experiment with contemporary flavours. Amid cobblestone alleys and geisha quarters, you’ll find every possible Japanese treat you desire and didn’t even know you could desire. This all-day breakfast and coffee shop first gained popularity in Shibuya, Tokyo, before uprooting and moving to Kyoto. The hip and cosy interior borrows inspiration from Portland, Oregon, where the owners once spent time studying. Wood tables, natural lighting and plants make for a comfortable place to head to before a day of sightseeing. Head to the counter to order the cafe’s speciality tofu and spiced pickled vegetable sandwich, as well as a coffee, both of which will be served in mismatched ceramic dishware. While you wait for your food, roam around and admire the quirky vintage goods sprinkled around the cafe. Kyoto is no stranger to the natural wine movement that is rapidly spreading throughout the world, and Komorebino is the ideal spot to sit at a quiet bar and sample a tipple or three from a selection of around 200 natural wines from around the world. The quaint wine bar is hidden at the back of the ground floor of what looks like an apartment building, but the interior is designed to have a natural feel, with dark rustic wood sitting alongside plenty greenery. The sommeliers are knowledgeable and are able to speak conversational English, though they’ll modestly claim otherwise. The bar serves a very limited menu of pairing bites, so it’s recommended that you have dinner before you sip the night away. Many soba restaurants in Kyoto are run by generations of soba masters, but not this one. The modern and minimalist eight-seater restaurant is run solely by the owner, who taught himself how to make soba after retiring from a career in the fashion manufacturing industry. The menu has two items on it—100% buckwheat soba noodles and sobagaki, a piping hot pile of cooked dough made from freshly milled buckwheat. The soba is made to order in a simple kitchen made visible by a window behind the bar. The texture of the soba may be thicker and chewier than you are used to, but that’s what makes Juugo’s noodles unique. The restaurant is located along Philosopher’s Path, making it the perfect stop for lunch along the scenic walk. A trip to Kyoto is not complete without a visit to Arashiyama, the majestic bamboo forest just a short train ride away from the city center. While there are plenty dining options in the historic area, Unagi Hirokawa remains one of the most popular restaurants, and rightfully so. The restaurant’s claim to fame is its grilled freshwater eel rice bowls, and some say that Hirokawa serves the best of its kind in all of Kyoto. It’s a given that you will fall head over eels (ha!) in love with the unagi donburi, but be sure to add on a side order of the hoso umaki, a delicate rolled omelette filled with sweet grilled eel. As of March 2019, the restaurant no longer accepts walk-ins and reservations can be made up to one month in advance online or by phone. A meal at Monk may be the most memorable you have in Kyoto, and may even make it onto your top list of all time favourites. The first thing to catch your eye when you enter through the beautiful wooden front door is a large Italian pizza oven that sits behind a counter that separates the dining space from the kitchen. The oven exudes a subtle smokey fragrance and is the source of heat for the majority of the seven dishes on the shockingly reasonably priced ￥7,000 tasting menu. Every morning, chef Yoshihiro Imai visits farms in the mountains of Ohara, as well as markets around Kyoto to gather seasonal ingredients. Yoshihiro’s cooking takes a minimalistic approach inspired by Scandinavian cuisine, championing the naked flavours of local ingredients and often using only oil and salt. Reservations must be made online or over the phone with a credit card deposit. Many guides will point you to Nishiki Market when it comes to picking up souvenirs, and while you certainly should visit the famous market, do carve away time to also visit the historic neighborhood of Higashiyama, where you’ll find pickles, handmade candies, rice crackers, colorful handicrafts, and the famous Kiyomizu-yaki pottery. The area has welcomed travelers for centuries, and is marked by narrow lanes, stone-paved streets, peaceful gardens and traditional wooden townhomes that house family-owned shops that have preserved their original design. Shops and restaurants are typically open from around nine or ten in the morning until five or six in the evening.